USA Business Insurance has just added a new general liability insurance program for residential handymen to their suite of premiere insurance products. 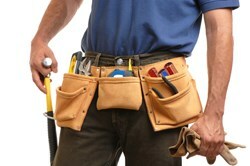 General liability policies for residential handymen are now available by accessing the USA Business Insurance website. This protection is a must for all working handymen who deal almost exclusively with the public. It pays all legal defense bills for named coverages which include bodily injury, medical payments and property damage. This is a comprehensive liability product. For example, if a customer visits the shop and injures themselves in a slip and fall, the liability coverage will cover costs related to any injury suffered. This includes attorney costs, court-mandated judgments and medical bills from the injured party. The residential handyman general liability insurance program offered by USA Business Insurance is specifically tailored for the handyman business. In addition, USA Business Insurance offers similar liability products for several other business types usually accompanied by discounts, great rates and flexible payment plans.